On the eve of the Eurovision 2012 song contest, which is currently held in Azerbaijan’s capital Baku, a number of Azerbaijani NGOs and activists have initiated information campaigns on human rights violations in the country or called upon international journalists to not only cover the song contest but also make press reports about human rights situation in Azerbaijan. According to Reporters Without Borders, Azerbaijan is now among the worst 18 countries in the world when it comes to freedom of speech and human rights. Azerbaijan also counts among the 10 worst countries in the world when it comes to jailing reporters and those in opposition. 44 non-governmental organisations urged the Human Rights Council to raise concerns relating to fundamental freedoms in Azerbaijan on 21 February 2012. The Parliament of Azerbaijan introduced new amendments to the NGO law in 2009, followed in 2011 by a Government decree, which outlines new requirements for registration of international NGOs. International NGOs must now respect the national-moral values and not be involved in political or religious propaganda in order to be granted permission to operate. 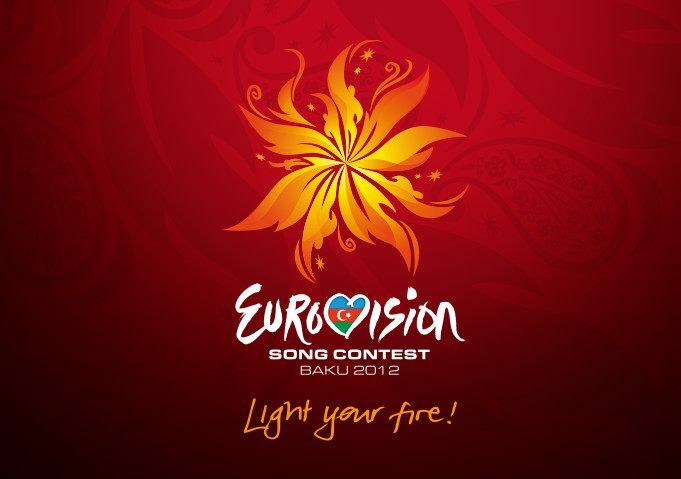 In 2011 a group of Azerbaijani human rights organisations launched a ten-month public campaign during the run up to the Eurovision 2012 song contest. “Sing for democracy” uses Eurovision as a platform to promote the advancement of human rights and democratic values in Azerbaijan. This will be followed by targeted lobbying for the implementation of specific democratic reforms. According to the campaign members, despite Azerbaijan’s accession to the Council of Europe, the past ten years have not seen the deep-rooted public and political reforms and guarantees of human rights and democratic values that are a prerequisite for integration into the European community. Although Azerbaijan is a member of both the Organization for Security and Co-operation in Europe (OSCE) and the Council of Europe, all recent elections have been marred by legal violations. Journalists, political parties and civic groups are prevented from functioning freely. Freedom of expression, the right to form associations and take part in peaceful assemblies, and the property rights of individuals are all under threat. The existence of political prisoners, the fact that people who exercise their right to take part in peaceful assemblies are arrested on fabricated charges, and the serious restrictions on freedom of expression and political pluralism, raise questions about Azerbaijan’s place in the European community, “Sing for Democracy” campaign mission states. The activists are concerned not only about gross violations of human rights in Azerbaijan in general, but also about the fact that some of the violations stand in direct relation to the preparation for the Eurovision song contest itself. The government of Azerbaijan forcibly evicted homeowners and demolished their homes for urban development projects in the capital Baku so as to build the arena for the 2012 Eurovision Song Contest. “The Azerbaijani authorities have grossly violated the Baku inhabitants’ ownership rights. The houses in the area where the song contest is to be held have been razed to the ground, under the pretext that there will be built parks and luxurious buildings”, stressed Malahat Nasibova, Azerbaijani journalist, human rights activist and 2009 Rafto Prize winner. At the same time, Nasibova is against any boycott of Eurovision song contest – rather seeing it as an opportunity for human rights situation in Azerbaijan to get wider coverage. “Reporters from abroad should not only write about artists, songs and festival itself, but look around, compare Baku today with how it was a year ago, visit refugee centres, visit jailed journalists and prisoners of conscience, look into what is happening in Azerbaijan and report on the human rights situation in the country”, said Nasibova. Late last year the Azerbaijani government had to assure the European Broadcasting Union (EBU) – the organisers of Eurovision – that freedom of speech would be guaranteed for all participants, delegates and visiting press. Azeri bloggers and human-rights groups were quick to remark the same privileges were not extended to them. Human Rights Watch (HRW) has, over the last nine months, used meetings and correspondence with the EBU to explain the severity of conditions in Azerbaijan and the need to speak out. HRW reports that EBU refused to use its influence to raise publicly the issue of imprisoned and harassed reporters, and to support publicly the efforts by Baku’s civil society to organise freedom of speech events in the week before Eurovision. But it also admitted that, in the show’s 57-year history, it has never faced such a wave of international concern about the human rights record of the host country, as it has this year. Only days away from Eurovision song contest EBU has to decide how to tackle Azerbaijan’s human rights record being in the spotlight. A national organisation in Azerbaijan that receives three warnings within a year can be closed down. In the beginning of February 2012, the Democracy and NGO Development Resource Center in Nakhchivan and the Institute of Reporter’s Freedom and Safety received one warning each from the Ministry of Justice based on their reporting on the human rights situation in Nakhchivan on the Internet. These reports were considered by the authorities to be biased and false. “Despite the fact that there are no international organisations in Nakhchivan today, the situation in the region is covered in the reports of international human rights organisations such as Amnesty International and Human Rights Watch. It is a victory for human rights defenders that Nakhchivan is now being discussed in the international society”, explained Malahat Nasibova. “I feel the Rafto Human Rights Prize awarded to me in 2009 was the door opener. Few knew about Nakhchivan or cared about the situation there. Right now, the situation is different”, commented Nasibova. Malahat Nasibova works as a journalist and human rights defender in the isolated autonomous republic Nakhchivan, which is part of Azerbaijan. Nasibova writes for Turan, an independent Azeri news bureau, and Radio Free Europe/Radio Liberty (RFE/FL). She reports about police brutality, kidnapping of members of the opposition and attacks against reporters. Through the Democracy and NGO Development Resource Center, founded in 2002, Nasibova works against corruption, for civil rights, transparency in elections and judicial processes, and she also trains observers. ”Every three months we have to give a report to the Committee of Statistics and Taxation about our activities”, said Nasibova. Being a journalist in today’s Azerbaijan is a perilous business. Nasibova has been a critical voice against the Azerbaijani authorities for more than ten years. The authorities have labelled her as an “enemy of the state”. Nasibova claims that Nakhchivan is Azerbaijan’s “testing laboratory” for human rights abuses. “Repressive methods are tested in Nakhchivan, and then applied throughout Azerbaijan. For example, it was in Nakhchivan that people were first placed in psychiatric hospitals when they were caught protesting”, told Nasibova. In spite of harassments and threats targeted directly at Nasibova and her family, she refuses to give up the fight for freedom of speech in Azerbaijan. “I am followed by the local authorities all the times. They try to prevent my activities, but through all these years I have learned how to do my professional work and stand up against all the obstacles,” says Malahat Nasibova. The Swedish section of Reporters Without Borders Press Freedom Award 2012 was presented to Malahat Nasibova on 3 May in Stockholm.